This product has been discontinued by the manufacturer on Dec 8, 2015. This product has been discontinued by the manufacturer on Aug 20, 2018. First, the intense amount of nicotine. 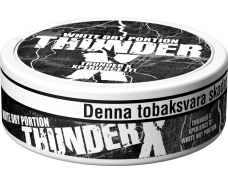 By adding more tobacco than usual into each pouch, the nicotine content rises making Thunder twice as strong as traditional Snus. 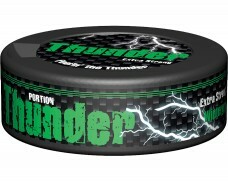 Thanks to this large amount of natural nicotine, Thunder Snus makes for an intense tobacco experience. 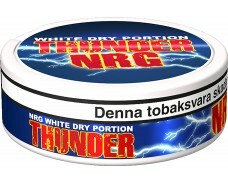 Thus, it should be used by experienced Snus users. 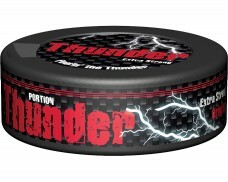 Beginners should consider trying another Snus first or being cautious when they first try Thunder Snus. What might be overwhelming for beginners can be just the right amount of nicotine for Snus veterans. 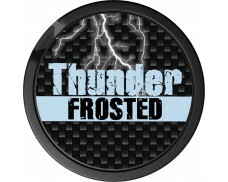 Several mint variations add a cool kick to Thunder Snus and make for an intensely refreshing experience. 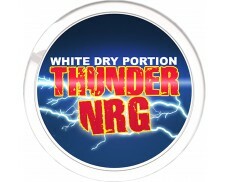 Fruity flavors such as raspberry and melon will satisfy those looking for a zesty, powerful taste. 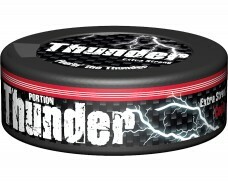 Their „Mini“ portion Snus comes in smaller bags which fit better in the mouth to create a more comfortable, inconspicuous experience. 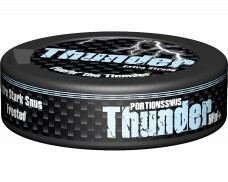 The „Slim“ Snus series comes in slimmer, but longer pouches for all those who don’t want to sacrifice flavor or strength for increased comfort. 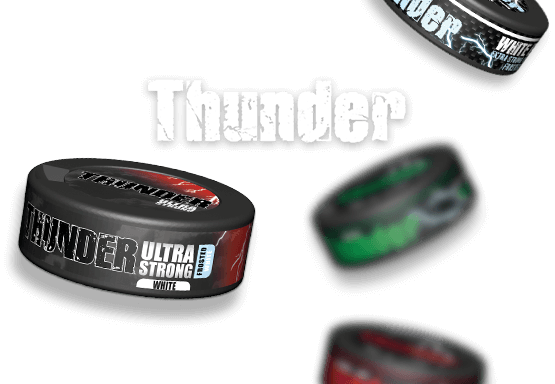 The „Ultra Strong“ line of Snus has even more nicotine than regular Thunder Snus and is created for all those looking for a real nicotine rush. 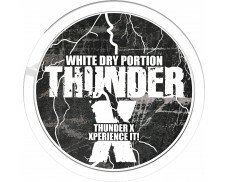 Thunder X is the strongest member of the Thunder product family. With a nicotine content of 45 mg/g it will definitely blow the strongest mind. Get ready for the strong challenge!